Zoos have come a long way from the days of bars and concrete. Not only do we understand much more about the physical needs of the animals in our care, but we also have more insight into their psychological wellbeing. Captive wildlife need the opportunity to express their natural behaviors in order to stay both physically and mentally healthy. We can help achieve this through environmental enrichment. When this doesn’t happen, the results are likely to be negative for everyone—the animals, the zookeepers and the visitors—and the zoo’s reputation will suffer. When an animal doesn’t have the opportunity to do the sorts of things it would do in the wild, such as grazing, roaming, breeding, hunting and exploring, it may become bored and stressed. This can lead to the animal developing abnormal behaviors as a coping mechanism for that stress. • show signs of fear or aggression. As zookeepers, our job is to prevent, eliminate, or at the very least, reduce the stress and boredom our animals experience. We do this by providing opportunities that are the same or similar to those found in nature, in order to encourage normal behaviors. This is known as environmental enrichment. Enrichment may be as simple as adding more variety to a polar bear’s diet, or as complex as re-designing its enclosure to give it the choice between flowing water and still water. There are countless ways to make an animal’s life more varied, and the benefits are well worth it. Environmental enrichment is also essential to the transition process for animals that are intended to be released into the wild. Plus, it adds value to the visitor’s experience. Animals that are more active, display more natural behaviors and interact more with their environment are more interesting to watch. It’s time to get creative and innovative! This is your chance to really make a difference to your animals’ lives. The list of potential options is virtually endless. Remember to consider all the senses—sight, touch, taste, smell and even sound. • Olfactory – natural scents, spices, mixing faeces or substrates from other animal’s enclosures or dribbling the juices of food around 30min before they get fed. • Tactile – change substrates in their enclosure to give them more textures underfoot. Give them something hard, smooth, rough, soft, cold, warm, different objects to help them groom themselves etc. • Training and handling – yes! 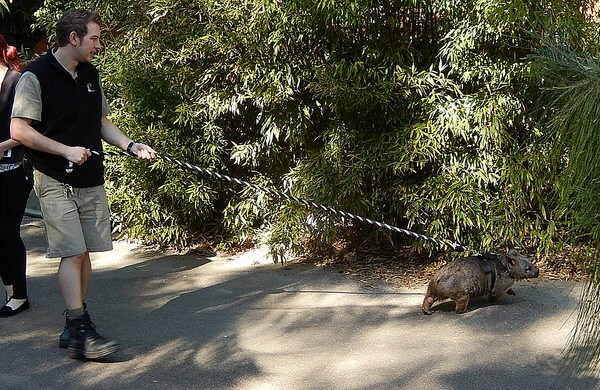 Training is a form of enrichment and gives many animals mental stimulation. Every zoo is different, but there’s a good chance you won’t get much of a budget for environmental enrichment. Household items like toilet roll tubes and tissue boxes, or natural items like pinecones, rocks and leaves, can prove to be successful alternatives to some of the more expensive enrichment toys on the market. When introducing a new enrichment idea, it’s important to leave time to monitor the animals’ reactions. Enrichment items could cause aggression or even fear. If unsure, it might be best to introduce new items slowly. Consider the specific animals and their personalities before jumping in with something strange and unknown. Always check with your supervisor, the senior vet or head of department before introducing a new form of enrichment to an enclosure. Environmental enrichment is vital to the health of our animals, but there’s nothing more horrible than hearing about animals that have been injured or even died as a result of enrichment items that were inappropriate for their species or enclosure. Always get new items cleared by someone more senior first, just in case. You’ve probably seen pets (or children!) with plenty of toys they never seem to play with. We all get bored with the things we have or the activities we do on a regular basis, and zoo animals are no different. In order for enrichment ideas to stay fresh and entertaining, you need to make sure you don’t use them too often. Keep a list of ideas that you constantly cycle through, and never stop being creative and trying new things. Don’t work at a zoo yet? Our pets can suffer from the same abnormal behaviors described above if their needs are not met. If you’ve ever known a dog that barks excessively out of boredom or loneliness, you know what I mean. 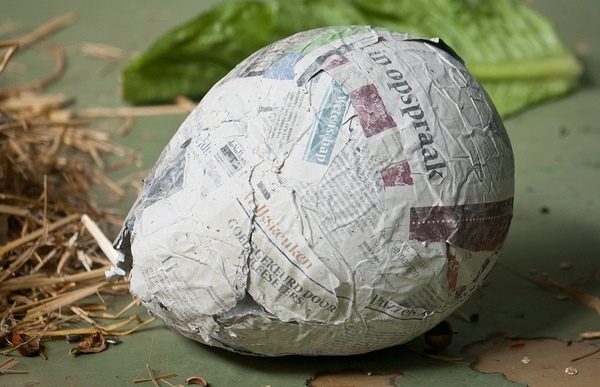 Start testing out enrichment ideas on your pets and observe the results. You’ll be getting experience, while at the same time improving their quality of life. Don’t have a pet? Perhaps a neighbor, friend or relative has a pet that would benefit from your attention. 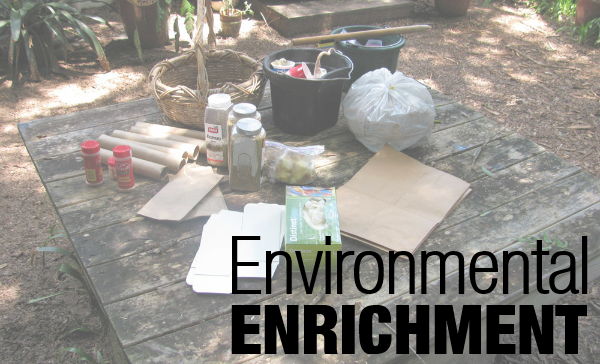 Environmental enrichment is a fun and fascinating aspect of animal care that’s well worth your time learning more about on your journey to zookeeper job-readiness. Raking tips for zoo volunteers: Raking is easy, right? Wrong!